Gila isolating mug. 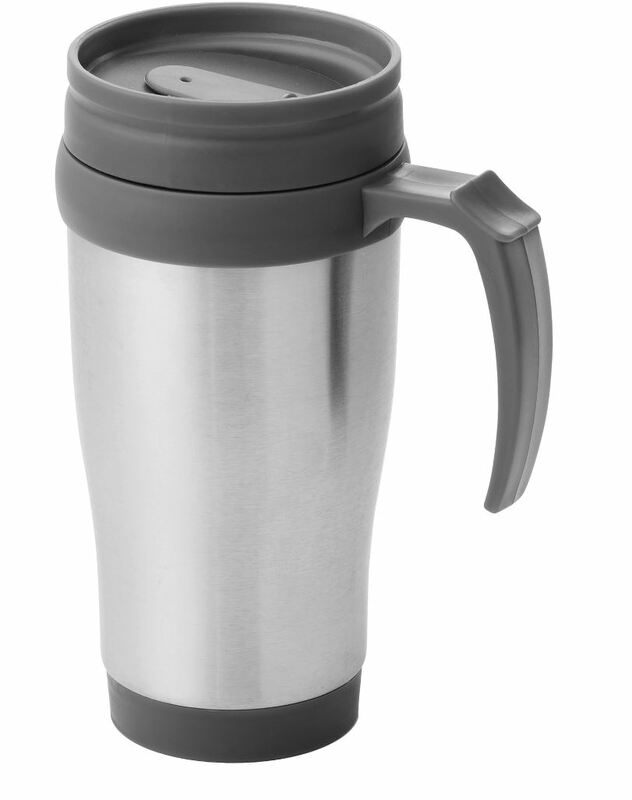 Double wall mug with twist-on thumb slide lid. Volume capacity is 330 ml. Stainless steel exterior, plastic interior.